""I don't envision us using Microsoft. I would never say never but it's not something we're entertaining now," said Christy Wyatt, corporate vice president of software and services product management for Motorola. She spoke to the press during Mobile World Congress in Barcelona. "We're the only vendor who is 100 percent Android," she noted." Citing limits on functionality and other issues like the fact Windows Phone 7 is not open source, Motorola's Christy Wyatt, Corporate Vice President of Software and Services Product Management for Motorola, contends they won't be releasing products on the platform any time soon. 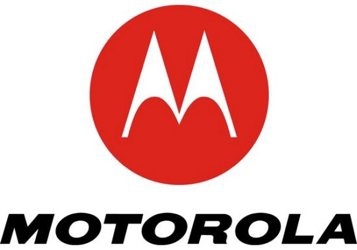 The door has not been closed completely (she comments "never say never"), but it is obvious that we won't be seeing a Motorola-based smartphone just around the corner. Motorola seems to have had a good experience to date with Android, although the upgrade process has kinks that they are continuing to work out. Personally, I like some of the new Motorola hardware quite a bit, and would love to see a Windows Phone 7 handset come to market. Countered by Acer now stating they WILL have WP7 devices this year: http://pocketnow.com/windows-phone/a...indows-phone-7. I think expecting every OEM to make a WP7 device is unrealistic, there are lots of OEM's who will never make a WP7 device for whatever reason, what really matters is if the ones that DO make a WP7 device make outstanding hardware and make customers want to buy their products and start building up market share. Motorola is ok with android as it works for them, cant really argue with that and they have not made a Windows Phone for years so its really no surprise, and frankly this statement seems to have been made more for effect rather than as a result of a real examination of WP7's merits or otherwise.